I asked J if he wanted anything knitted. Rather than the slippers, or jumper, or scarf, or gloves I was anticipating he came up with something rather different. He wanted a polar bear. Currently the head and body are done, and he has one leg (J has taken to calling him ‘monopod’). I’m hoping I can get him finished this week. 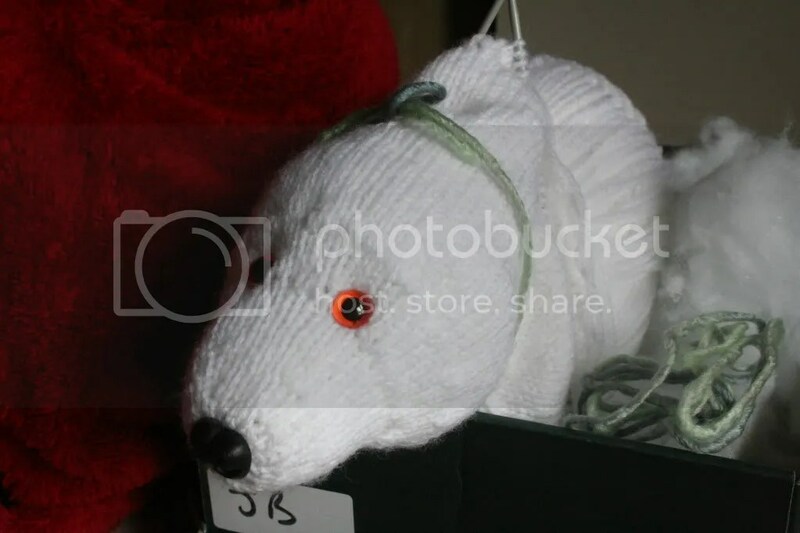 Tags: knitting, polar bear | Permalink.